Hi guys today in this article I'll show you How To Make Floor Is Lava effect without Green Screen? First of all you need some elements. 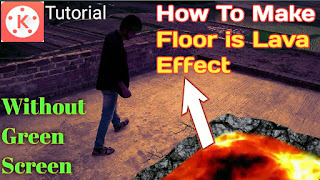 1) a lava effect video. 2) a rock background picture. Download this zip file and extract with es file explorer. And you get 2 file. Download kinemaster mod for editing..
Watch this tutorial how to make?